Pay per click advertising is exactly what it sounds like. You only pay when someone clicks on your ad. Google is the number one most visited website in the world and Google AdWords is the most widely used PPC platform. You can pay to display your ad when someone types in certain phrases and keywords. Like SEO, Google Adwords needs a lot of research before you start advertising. This is something we will do for you. We will research what exactly your customers are searching for. For example, you may think it’s best to pay for advertising under the search term ‘Solicitors, Blackpool’, but then, you might find more people search for ‘Housing Solicitors, Blackpool’. It’s all in the extensive keyword research! Facebook advertising can deliver fantastic ROI. You’re able to target people based on their hobbies, habits, what other Facebook pages they like and demographics. If used correctly, it can be extremely powerful tool. Have you ever wondered why adverts follow you round after you leave a website? Well, it certainly isn’t coincidence. You’re being ‘retargeted’. Retargeting is cost-effective and most importantly, it works! Why Should I Get a Professional To Do It For Me? 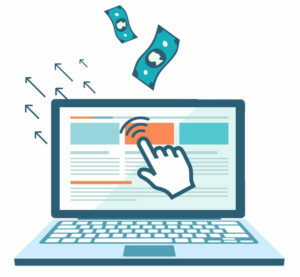 Sure, you could manage your pay-per-click advertising yourself, but it can be a time consuming process, which, if not done correctly, could end up costing you money. We can manage your PPC campaigns from the full account setup, to landing page design and copy.